The line-up for the 2015 Sundance Film Festival has already been revealed, but as always, there are a couple more last minute additions. Festival founder Robert Redford will see the premiere of his latest starring role in A Walk in the Woods, the adaptation of Bill Bryson's memoir of the same name, premiering at the festival. 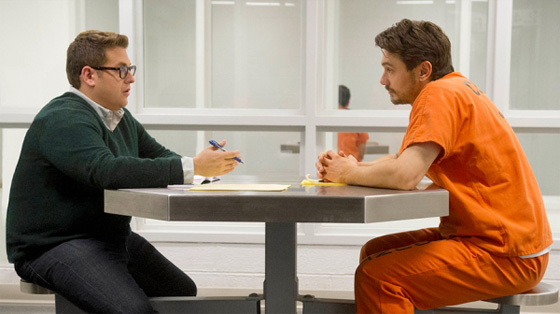 In addition, True Story starring Jonah Hill and James Franco will also debut up in the mountains. We've got first look photos from both of the movies below, along with the festival loglines to give you a better idea of what each of the films are about. Looking forward to both of these additions next month! A Walk in the Woods / U.S.A. (Director: Ken Kwapis, Screenwriters: Rick Kerb, Bill Holderman) — An aging travel writer sets out to hike the 2,100-mile Appalachian Trail with a long-estranged high school buddy. Along the way, the duo face off with each other, nature, and an eccentric assortment of characters. Together, they learn that some roads are better left untraveled.Cast: Robert Redford, Nick Nolte, Emma Thompson, Mary Steenburgen, Nick Offerman, Kristen Schaal. True Story / U.S.A. (Director: Rupert Goold, Screenwriters: Rupert Goold, David Kajganich) — When disgraced New York Times reporter Michael Finkel meets accused killer Christian Longo — who has taken on Finkel’s identity — his investigation morphs into an unforgettable game of cat and mouse. Based on actual events, Finkel’s relentless pursuit of Longo’s true story encompasses murder, love, deceit, and redemption. Cast: Jonah Hill, James Franco, Felicity Jones. Robert Redford, President & Founder of Sundance Institute, said, "The work of independent artists inevitably reflects the state of our culture and the times in which we live. Their stories are often irreverent, challenging, compelling and unexpected, and not only possess the power to move and hopefully inspire audiences, but also to speak to our shared humanity." John Cooper, Director of the Sundance Film Festival, said, "The selections for our 2015 Festival will take audiences on a wild ride of emotional extremes. With approaches ranging from comedic to dramatic, genre to documentary, experimental to short, independent filmmakers are bravely illuminating new opportunities for understanding and empathy." Stay tuned for all our coverage from Sundance 2015 when the festival begins in the middle of January. 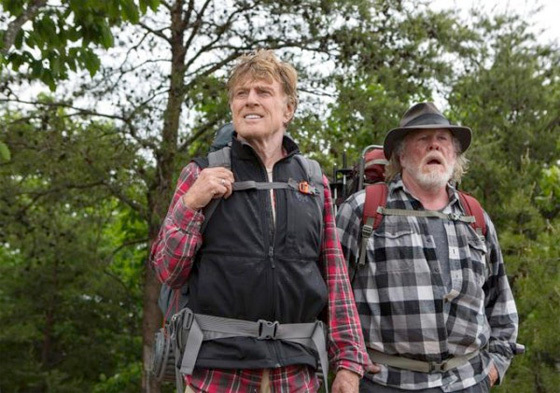 A Walk In The Woods is a great book, but I can't see Robert Redford as Bill Bryson. Nick Nolte makes a better Bryson. Also, it's one of those books that takes place mostly in the protagonist's head, so I'm not sure what kind of movie they're gonna do there....I hope it's a comedy at least. Bryson's books are all hilarious. Fantastic. Those films look rad. I will await AB's reviews.